Tottenham manager Mauricio Pochettino had a funny exchange with the translator at his news conference ahead of Wednesday's Champions League match against Barcelona at Wembley. 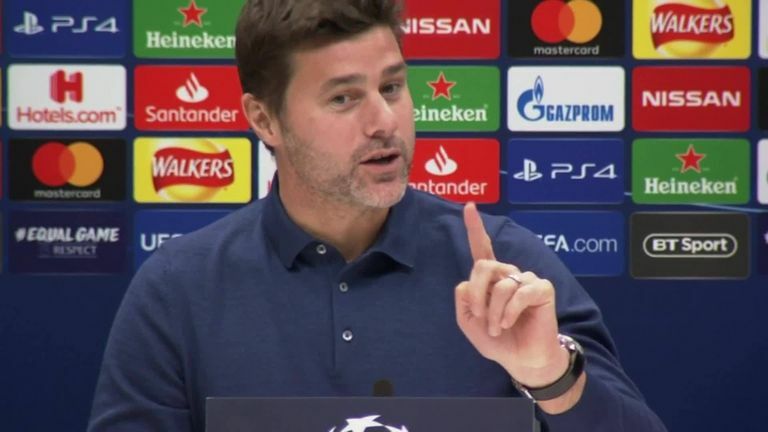 Argentine Pochettino's native tongue is Spanish and having answered questions in English, a translator was on hand to provide his answers for the Spanish media. But Pochettino was perplexed at one of the translated answers - pulling a range of faces to express his surprise at what he was hearing - and he was forced to step in to correct the translation. Minutes later, he then had to intervene again over a tactical question about the goalkeeper's role in a 4-4-2 formation which saw him draw laughs from the media and translator. After the news conference, a sympathetic Pochettino was all smiles with the translator and shook her hand acknowledging "the very difficult" job she has. Hit play on the video at the top of the page to watch Pochettino play the role of translator.